You need to educate yourself after divorce about child custody approaches that work, approaches that do not work, and very important – mistakes to avoid. Making a mistake early or often enough could severely impair your ability to successfully obtain the most important thing in the world to you right now: spending as much quality time with your child in the aftermath of a divorce as possible. You want to prepare well to secure the best child custody order or parenting agreement as you possibly can for you and for your children. In the earliest stages of a child custody case you have plenty of opportunities to laid the foundation for maximizing success. Start by avoiding the pitfalls. Avoid “giving in” either too much or too early. Many “normal” parents make the mistake of trying to appease the other parent (often the high-conflict variety) by giving in to significant demands early in the child custody proceedings. Don’t do this. Issues negotiated away too often can not be re-obtained at any point in this process. If you choose to settle for less, you end up with – less. Despite some people contending that this is about you and your needs, remember that it’s not. A child’s greatest chance at success is predicated on maximizing healthy interaction with both parents, be they married or divorced. Avoid opportunities to be tagged with false allegations of any kind – especially domestic violence or child abuse. Avoid this trap by following our oft-repeated recommendation to document everything. Keep well organized. Keep a daily child custody and divorce journal that details your daily events, no matter how mundane. Document where you were, the times you were there, people with whom you interacted, save receipts – “the whole 9-yards.” If you don’t understand the lengths that some people will go to set up there targets for a significant fall, scan through our false allegations category for some horror stories. You can also avoid entering one another’s homes (assuming you’re post-divorce and living apart). Do child custody exchanges at a highly visible public place – a neutral location – where many witnesses serve to prevent an escalation on the part of either the high-conflict parent or you. Avoid putting yourself into positions where you can be set-up as a perpetrator of domestic violence without witnesses to refute the allegations. You should always be thinking of long term consequences that could arise from your actions and your inactions. Document everything you that are connected to the children, even if it doesn’t actually involve the children. Those would include interactions with doctors, teachers, coaches, etc. Perhaps the greatest mistake parents is both acquiescing to the demands of the high conflict parent and exacerbating the situation by agreeing to those demands being made into “temporary” child custody orders. Temporary child custody orders have an uncanny ability to turn into permanent custody orders and, once they do, your ability to change the child custody arrangement just became incredibly more difficult. 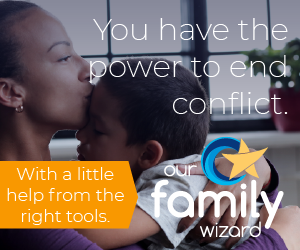 Often, this can be done under what is actually usual and customary pressure from mediators, guardians ad litem, judges, and even your own attorney.